Daud Khan was a slave of Shah Alam Badalzai. The latter was grandson of an Afghan saint Shaikh Shahab-ud-din Badalzai (Badalzai is sub-tribe of Barech) from the village Pushim of Shorawak district of Kandahar. Shaikh Shahab-ud-din Badalzai had left Shorawak and settled in the village of Toru Shahamatpur (Mardan). Some time in the reign of Bahadur Shah (1707-1712) Daud, the slave, ran away from his master Shah Alam, to seek his fortune in Hindustan. He found his way into Katehr . There he became leader of a band consisting of two hundred men and entered into the service of a Hindu Rajput zamindar, Mudar Shah of Madkar of Sarkar Budaon. As was usual those days, the neighboring zamindars were continually at warfare with each other. Once Daud was sent against the village of Bankauli, with which his employer was at feud. Along with the plunder, Daud came into possession of an eight year old Hindu boy, a Jat or an Ahir. Daud converted him to Islam and adopted him as his son under the name of Ali Muhammad Khan. Daud Khan gradually acquired some villages and organized a band of four or five hundreds Afghans. In 1713, Shah Alam Khan, who was once Daud's master, hearing of his former slave's success, came to visit him in Hindustan. He was kindly received and dismissed with gifts. Shah Alam returned to Roh or Pakhtunkhwa but visited Katehr again after five or six years, this time urging Daud to return with him to his native village. Daud Khan protested against abandoning his position. Shah Alam was forced to set out alone on his return journey but was killed by some unknown persons near Badaun on 7th November 1718. Shah Alam had left a son at his village of Toru Shamatpur, four or five years of age, was the well known Hafiz Rahmat Khan. A year later, Daud Khan left the service of Mudar Shah and joined the service of Debi Chand, the Raja of Kumaon, who made him commander of his forces. With the assisstance of Daud Khan and his Afghans, the Raja of Kumaon, extended his sway over a large area, encroaching upon the territory under Mughal government. Azmatullah Khan, the imperial governor of Moradabad, confronted Rohilla force under Daud Khan, in which the latter were defeated after a fierce battle. The Raja Debi Chand suspected Daud Khan to be in collusion with the imperialists and plotted to murder him. The Raja invited Daud Khan to attend and receive his pay. Daud Khan, suspecting no treachery, paid the visit to the Raja. The Raja ordered him to be seized and he along with all his companions, was tortured to death in 1720. After Daud Khan's death, the surviving lieutenants like Malik Shadi Khan Kamalzai, Sadar Khan Kamalzai, Sardar Khan, Dunde Khan Barech, and Fateh Khan acknowledged his adopted son , Ali Muhammad Khan, as their leader, as he was considered the most able man among them. Muhammad Khan, the only natural son of Daud Khan, was passed over since he was a minor . 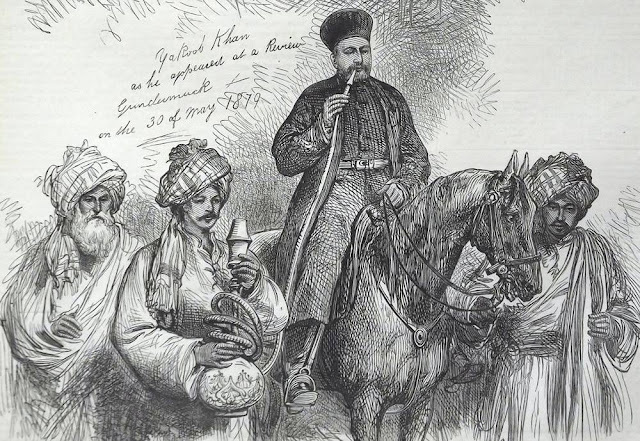 Though Ali Muhammad Khan was not Afghan by origin , he spoke Pashto and followed Afghan customs. 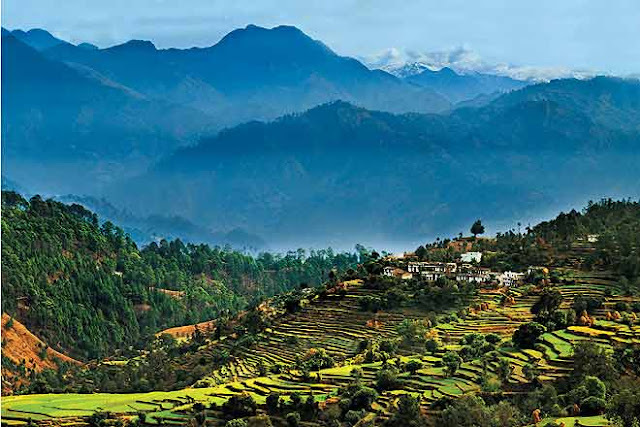 Kumaon, Uttarakhand. 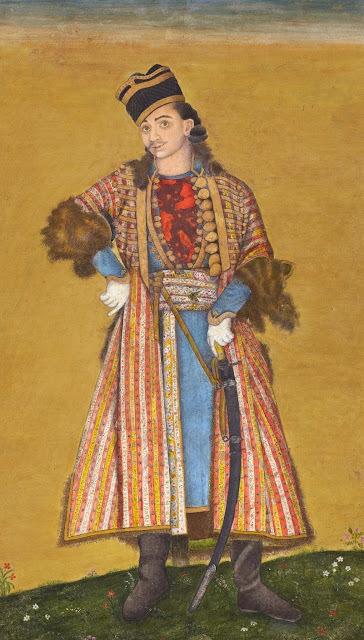 Daud Khan was killed by the Raja of Kumaon. In 1743, Ali Muhammad avenged the death of Daud Khan by invading and conquering Kumoan. Is it possible to find out Daud Khan's tribe? He was a former slave so he was most probably of non-tribal background. But according to Hamilton who wrote a book on Rohillas in 1787 (and which is a translation of an unnamed Persian work), Daud Khan was a Yousafzai.